Unsure which strain to buy? Now you can try 3 different strains for one price. 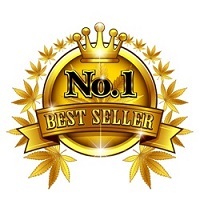 Find all the very best Mixed Marijuana Seeds for sale here. All the mixed seeds are also available in Feminized Marijuana Seeds. Variety is the spice of life, and these Mixed packs offer a selection of three different strains in every packet. Containing a total of 9, 15 or 30 feminized seeds, grow three different strains simultaneously and save money. Great value with packs for beginners, 'cash-crop' and medical growers, guaranteed germination with every seed.